Petal Town Flowers is a boutique studio florist, supplying beautiful wedding flowers to venues throughout Sonoma, Napa, Marin Counties, and the San Francisco Bay Area. Planning a Wine Country wedding? Petal Town works with all the local Sonoma and Napa destinations! More of a City person? We offer wedding flower service throughout the entire San Francisco Bay Area! 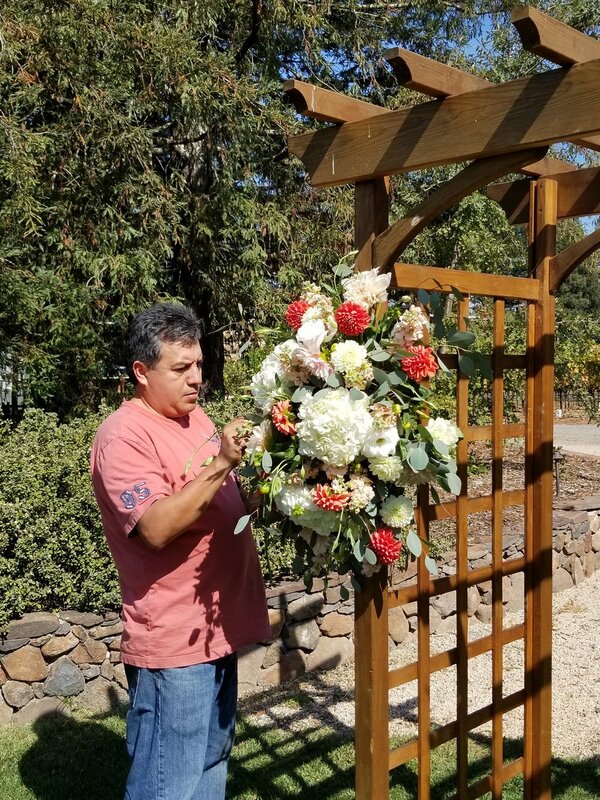 Owner and designer Martin Ramirez grew up in a family of florists, and has been passionate about flowers his entire life. He puts his personal attention into each and every wedding or event to ensure the best quality, the freshest flowers and excellence in customer service. Our close proximity to the San Francisco Flower Market, and the abundance of lovely local flowers, ensures that we always offer the freshest and highest quality product. We also have access to imported flowers from all over the world. This means you can celebrate your style in any season you desire! Petal Town Flowers is a studio florist, creating beautiful wedding flowers for brides and grooms in Sonoma, Napa and Marin Counties, and throughout the San Francisco Bay Area. Planning a Wine Country wedding? Petal Town works with all the local Sonoma and Napa venues! More of a City person? We offer wedding flower service throughout the entire San Francisco Bay Area! Are you planning a destination wedding in our area? We work with many brides and grooms who are planning their wedding remotely. We can help you design the perfect wedding flower package, complete with photo samples, without having to travel to our studio. We take the worry out of your wedding day... Your flowers will be delivered and set up fresh and beautiful, exactly as you imagined!